While LED light bulbs offer considerable improvements in device lifetime, design flexibility, and safe environmental disposal methods when compared to incandescent light bulbs, they also magnify concerns surrounding thermal management. LED lighting devices are particularly susceptible to thermal stress issues due to their compact geometry and high temperatures. These thermal stresses can reduce the life of the LED bulb and cause material degradation, negating the improved energy efficiency delivered by the bulb. In order to overcome these constrains, Veryst Engineering used simulation and a generic LED light bulb model to gain a better understanding of the physics affecting the complex geometry of the device. Among the analyses described in the article was a simulation including the particles surrounding the bulb. This analysis was conducted using the Particle Tracing Module in COMSOL to provide a visual representation of the localization of temperature in and around the bulb. Image courtesy of Veryst Engineering. In the image above, you can see the heat sink portion of the bulb, as well as the rapid flow of particles away from the bulb due to convection. However, the low flow velocities in the areas surrounding the light bulb demonstrate that this geometry could be further optimized to dissipate more heat from the bulb. 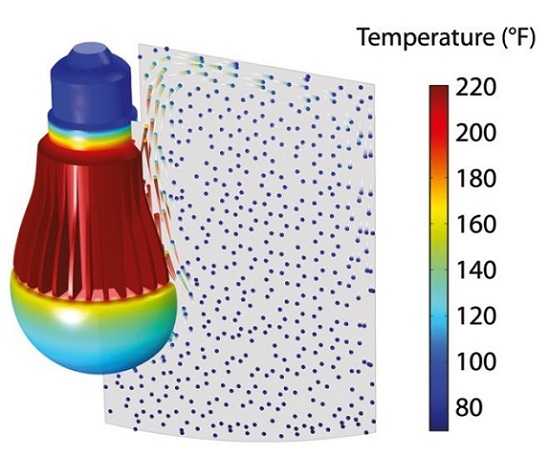 Using COMSOL Multiphysics, increased flow velocities surrounding the bulb could be created, therefore taking better advantage of natural convection by using these air flows to carry heat away from the bulb. Additionally, more physics could be added to the model — such as Joule heating or thermal-structural interactions — in order to provide a more complete picture of the physics interacting within the bulb. The COMSOL Certified Consultants program consists of consultants that deliver solutions to a range of modeling projects using their extensive experience with the COMSOL software. A member of the program, Veryst Engineering, LLC, offers consulting and premium engineering services for companies in a wide variety of industries, including manufacturing, energy, biomedical devices, consumer products, and transportation. The engineering analysts at Veryst use their extensive knowledge of mechanics, physics, manufacturing, and computational methods to produce practical, useful results, including ready-to-run models and reports containing in-depth analyses. 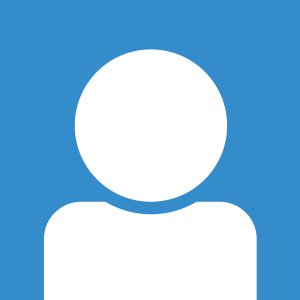 Check out the COMSOL Certified Consultants page to learn more about Veryst and the many other consultants available for you.